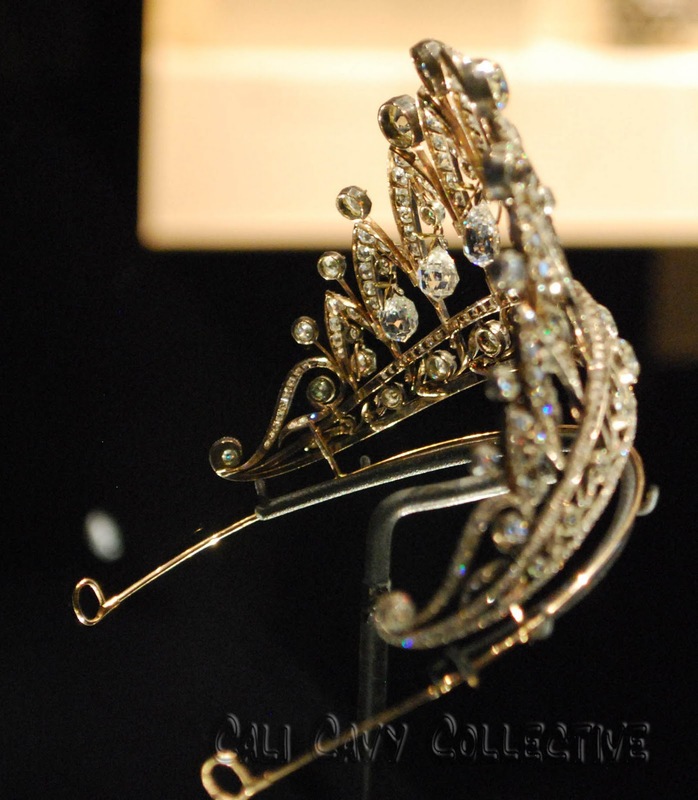 Fabergé didn't create many tiaras, but today we will look at one of the few he did make - the Empress Josephine Tiara, created around 1890! 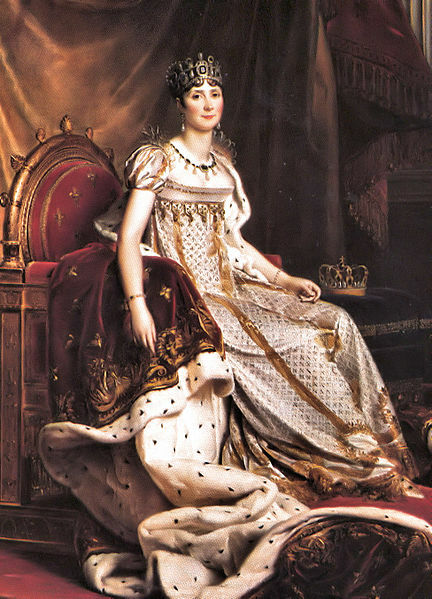 The French Empress Joséphine was the first wife of Napoléon Bonaparte. In 1810 they got divorced though. After that she stayed at Château de Malmaison, and every time Tsar Alexander I of Russia visited her after her split from the Emperor, he used to bring her presents. At one time, this present consisted of several beautiful briolette-cut diamonds (the ones cut like tears). 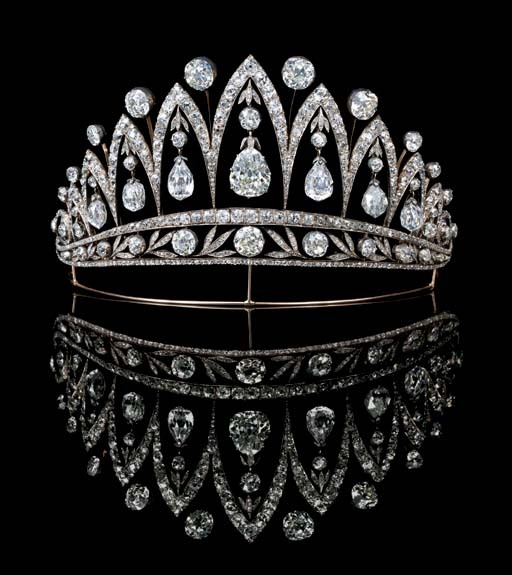 Around 1890 these diamonds - and a few more - were then mounted in silver and gold by Fabergé's workmaster August Holmström, to create this magnificent tiara. After WWI the King of Belgium bought the tiara from the collection of the Dukes of Leuchtenberg, a title first granted to Eugène de Beauharnais, son of Joséphine and adopted son of Napoléon. Later Queen Marie José of Belgium inherited the tiara from her brother, Prince Charles Theodore. Marie José became the last Queen of Italy, after marrying Umberto II of Italy, who reigned the country for 34 days, before Italy became a republic. In 2001 Princess Maria Gabriella of Savoy - one of Marie José's and Umberto's four children - inherited the tiara from her mother. To help pay her taxes she decided to sell it, together with 40 other lots of rare jewels, and in 2007 the tiara was bought at an auction at Christie's by The Arthur and Dorothy McFerrin Foundation, for 2,079,389 USD. I had no idea that Faberge made tiaras until today but this is definitely interesting to me Miss Meadows, the one that the French Empress is wearing is amazing and powerful, there's something about tiaras that I personally absolutely love on girls, it's just so classy. I would simply LOVE to wear that tiara in my house when I'm home alone. I'd dance and listen to records.